First, I have to say Mary Daniels, has a really cool job. She works for an eccentric millionaire who likes to bid and collect pieces of art. Her job is to collect the pieces, make payment and deliver them safely. When her boss hires Brodie Crews as the driver to accompany her, Mary’s controlled little world gets turned upside down! From their first very awkward meet to her attempts at hiring Brodie’s brother instead I knew I was in for a fun ride. While I don’t consider myself to be a prude, even I had my concerns about Brody. Sure the man curls your toes, but I wasn’t at all sure. Even as Mary unwillingly kept checking out his body. LOL. I will say that Foster soon had me swooning over this brother and his big heart. Brody and his brother own Mustang Transport Courier Services. Jack, his brother is the suit guy and Brody handles deliveries. Ladies you are going to love these brothers, their office manager and their spitfire mother. I not only loved Mary’s story, growth and the developing romance but Foster gave us an intense suspense thread, sibling teasing an awesome family and interesting secondary characters. 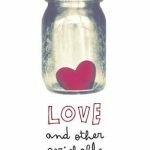 Mary was wonderful and Foster allowed the reader to understand and connect with her. She is complex, confident in some aspects, defensive in others but a good soul. I love when I can picture myself having coffee with a character. We will make Mary’s decaf though. Now Brodie, on the other hand, is laid-back, unless someone or something he cares about is in trouble… then look out. Wait until you meet his furry friend, Howler. 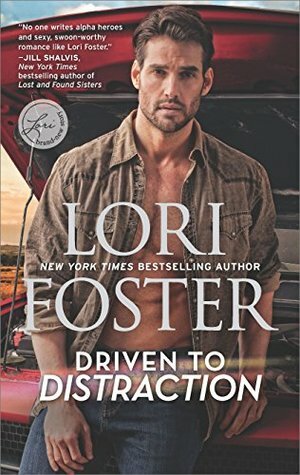 Fan of Lori Foster’s Love Undercover series will adore Driven to Distraction. Brody sort of reminded me of Rowdy. We get a sneak peek of Slow Ride, book two. It releases in April 2019 and will be Jack Crews’ story. Thank you Barbara. Sorry for the late response life has thrown me some curveballs and I’ve been busy dodging them. Perfect time, this is an all new series! Great review Kimberly! Never read this author but this book seems to be a great place to start. Love the brother owning a business together and their spitefire mom. Going after rare artifacts is just icing on the cake. I love Foster. Her characters and stories always pull me in. I feel the same way Rachel. I do love rescued dogs. I haven’t tried Lori Foster, but she’s been on my radar for a while. I need to give her a shot. Great review. Pretty sure this is available for audio too. This sounds really fun and I’m a sucker for books that have dogs in them so seeing that this features a rescue dog made me smile. The cover is pretty easy on the eyes too, lol. This was a great start to a new series. Loved Howler too. LOl, yes Howler was great. Sounds like a fun read — thanks for the post! Happy to share. Have a wonderful Thanksgiving Angela! I love everything about your review but when you said “Brody sort of reminded me of Rowdy,” that sealed the deal. Okay you have me sold with your very last line. I love that feel good feeling at the end of really good stories. I so need to grab this one! I haven’t read this author yet, I should add it asap because my last few holiday romances have been a miss. Well dang, that sounds so good. The brothers sound great. It’s been a while since I’ve read her books but I’ve always liked the ones I’ve read. I will be adding this to my wish list. Glad you’ve enjoyed her previous books. I hope you grab this one Mary. I like their unique jobs and the family owned business. I’m a fan of character growth and seeing people come together like this. It does sound like a fab series. It was fun and wait until you see the types of art he collects. Oh my goodness, another of my favs. Its high on my shelf and now I really want to get my hands on it. 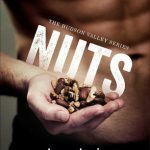 I have so much fun with Lori’s books too and when you said you closed your Kindle and ginned from ear to ear I knew I would be opening this one very soon. Thanks for the super duper review!! I always have fun with Foster’s novels and these characters and slight suspense angle were all well done.